Dream globally; bird locally. That’s what I came away with on my first-ever visit to Africa. For 11 days in western Uganda I was treated to birds, mammals, reptiles, and even a few insects that I had thought I would only ever dream about. After almost two weeks on the ground, our group locked onto more than 440 species—still well shy of Uganda’s total list of more than 1,000, or half the bird species in all of Africa. This country sits on the equator, gives rise to the Nile, and marries the plains of East Africa to the jungles of West Africa. It’s dripping with birds. Red-throated Bee-eaters along the Nile in Murchison Falls National Park, Uganda. Photo by Brian Zweibel/Sabrewing Nature Tours. Travel is glamorous and new places are thrilling, right? But no one ever found the heart of a place on their first afternoon, or even their first week. Local birding will always have the power to satisfy deeply, because the biggest surprises come after you’ve built your expectations. It’s also why you should tap into the wisdom of locals whenever you’re on the road, even in your own continent, by hiring guides or finding locals. When you’re still in the planning stages, use eBird Hotspots to get your bearings. And it goes both ways: around your hometown, maybe you’re the local wizard who can find the hero birds for visitors. The rewards of intensively birding your home turf has even acquired a name in the last several years: patch birding. Lizard Buzzard at Entebbe Botanical Garden, Uganda. Photo by Hugh Powell. Pied Kingfishers assemble by the hundreds along the shores of Lake Victoria, the Kazinga Channel, and the Nile. Photo by Hugh Powell. Beaudouin's Snake-Eagle by Hugh Powell/Macaulay Library. During our time in Uganda our group of six birders filed more than 60 eBird checklists. For me, it was hard enough to keep track of the sunbirds and widowbirds and indigobirds and silverbirds and go-away birds and tinkerbirds, not to mention the eagles, hawk-eagles, snake-eagles, and, yes, something called a Lizard Buzzard. Those eBird lists became an invaluable record after the dust settled. Amazingly, I didn’t file any eBird checklists myself. I had the good fortune to draft in the eBird slipstream of Nate Swick of the American Birding Association and Ethan Kistler of the tour group Birding Africa. They traded off listing duties—which included navigating the enormous checklist while keeping a mental tally of how many Pied Kingfishers, Red-billed Queleas, Brown-throated Wattle-eyes, Speckled Mousebirds, and more we had seen. If they ever give up birding, the Las Vegas blackjack tables need to watch out. Back home, the value of having an eBird buddy or two still applies. By sharing birding, you end up with more, and more complete, records that make for better memories and contribute data to scientists. 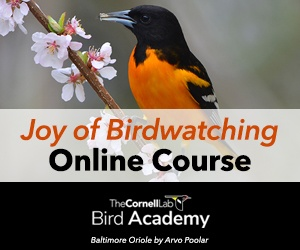 And if you’re like me, you also benefit from having better birders challenge you to keep up. This African Broadbill was displaying by flying in a tight circle above its perch. Seen in Bwindi Impenetrable Forest National Park, Uganda. Photo by Hugh Powell. This is the paradox about birding in the tropics: you go there for the overload of strange and fantastic birds, but the unforgettable moments only come one by one. Like the African Broadbill we saw giving its toadlike trill and then display-flying in a tight circle around its perch, as if circumnavigating a basketball. Writing down an X on a checklist or clicking down an eBird screen takes only moments. But thinking back on those glimpses into the bird’s life—that will last you years. So appreciate behavior. Back in the Northern Hemisphere, even our less sensational-looking birds still dazzle and reveal. Every time I see a familiar bird, I try to follow it a little longer, to seek out what it’s up to. 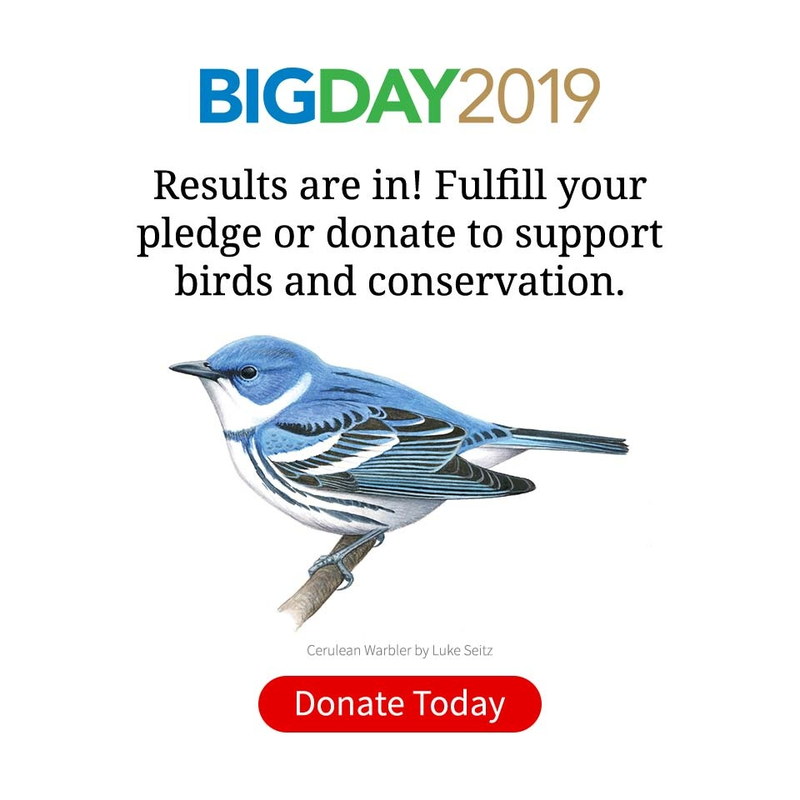 (eBird encourages this by letting you enter breeding codes). I guess that’s why they call it bird watching. Hadada Ibis—one of the most common and widespread birds in Africa—and still spectacular. Photo by Brian Zweibel/Sabrewing Nature Tours. Two of the most common calls heard in Uganda are the natty Brown-throated Wattle-eye and the Black-headed Gonolek (next slide). Photo by Brian Zweibel/Sabrewing Nature Tours. The Black-headed Gonolek looks like a Vermilion Flycatcher that went to shrike school. Photo from Mweya Lodge, Queen Elizabeth National Park, by Hugh Powell. Described as wearing a "foppish crest" by the East Africa field guide, Long-crested Eagles are both spectacular and common. Photo from Queen Elizabeth National Park, Uganda, by Hugh Powell. The Hamerkop is another common bird with a head profile you can't mistake. Photo by Brian Zweibel/Sabrewing Nature Tours. My very first bird in Uganda was a corker: Hadada Ibis. Tall of stature and crooked of beak, with a muddy brown plumage lit up by turquoise wing panels. I learned only later that they’re kind of Africa’s joke bird: dirt common, a mercilessly early riser, a voice like a tormented soul, and a knack for showing up unexpectedly and distracting you. What did I know? I was happy with it. Similarly, no matter where we went in Uganda, a Black-headed Gonolek seemed to call within about 30 seconds of the ignition being switched off. These birds have a lovely liquid voice and then, when you see them, they look like a Vermilion Flycatcher that ran away from home and went to shrike school. When you’re someplace new, you have a grace period where absolutely everything you see is rare and wonderful. Home contains marvelous birds, too—sometimes it’s just a matter of reclaiming that point of view. L'Hoest's monkeys are just one of the dozens of mammals beyond the "Big Five" to look out for in Uganda. Photo from Bwindi Impenetrable Forest National Park, Uganda, by Hugh Powell. Rothschild's giraffes are gently astounding sights on the open plains of Murchison Falls National Park. Photo by Hugh Powell. Almost half the world's remaining mountain gorillas live in Bwindi Impenetrable Forest National Park. Photo by Hugh Powell. On our safari we quickly saw three of Africa’s Big Five: lion, elephant, and buffalo (we missed leopard, and there are no wild rhinoceros left in Uganda). But we were too preoccupied by big animals—including giraffe, hippo, warthog, impala, Uganda kob, mountain gorilla, chimpanzee, and many others—to find any of the Little Five. That’s a rival list that some whimsical, possibly nearsighted naturalists put together: ant lion, elephant shrew, Buffalo Weaver, leopard tortoise, and rhinoceros beetle. Back home, the non-bird options may lack some of the majesty of Africa’s offerings, but nevertheless the growing arts of butterflying and “odeing” (looking for dragonflies and other insects in the order Odonata) complement birding almost perfectly. As dawn cool gives way to midmorning heat, the birds quiet down and the insects come out. And the close focus of most birding binoculars can give you sumptuous views as you ponder field marks or seek out your own “Little Five,” whatever they may be. East African countries like Kenya and Tanzania are home to more large mammals, but Uganda’s forests add more bird species and more primates to the equation, making it a tempting destination in tropical Africa. Uganda lies mostly above 3,000 feet elevation, which helps keep the equatorial heat in check. The official languages are English and Swahili, although many local languages, particularly Luganda, are spoken. On our Uganda-sponsored trip, we concentrated on western Uganda, including the bird-and-primate-rich forests of Bwindi Impenetrable Forest and Kibale; and the game-rich expanses of Lake Mburo, Queen Elizabeth, and Murchison Falls. To get the most out of your time in any unfamiliar country, it pays to hire a local guide. They know their area intimately, can help you find the big-ticket species (e.g., on our trip, Shoebill, Black Bee-eater, Green-breasted Pitta, and others), and can also help you track down the birds on your personal wish list. We were lucky to be guided by Johnnie Kamugisha, a tremendously talented birder with 20 years of knowledge in addition to tireless attention to detail, a sense of humor that lightened each day, and, just for fun, a great talent for doing accents. Other Americans had great experiences with Herbert Byaruhanga of Bird Uganda Safaris, and several other guides from the Uganda Safari Guides Association. If anyone in your group is ready for a break from birding, an outfit called Kasoga Community Experience near Queen Elizabeth offers cultural tours that take you inside a fishing community to take part in rural life. I can’t get enough of seeing Northern Hemisphere birds on their wintering grounds. Familiar and strange at the same time, it’s like recognizing a coworker out on the town on a Friday night. In the two great savanna parks we visited, Queen Elizabeth and Murchison Falls, hundreds upon hundreds of Barn Swallows quartered low over the bush or perched in bare branches like the candles on a candelabra. I tried to imagine them five months earlier, flitting over wheat fields in Slovakia or nesting under the eaves of a Russian dacha. Common Sandpipers are a little like a European version of a Spotted Sandpiper. They spend summers foraging along Scandinavian streambanks. In Uganda, they paced straight along the broad backs of submerged hippos, peering first off to one side and then the other to look for food. In June, Willow Warblers sing over the heads of British picnickers, while at Queen Elizabeth National Park they perched in outlandish flowering trees and lunged at the famous midges rising out of the Kazinga Channel. It’s easy to think we know our birds of summer—to imagine that they’re perfectly adapted for their northern homes—forgetting that there’s another entire lifestyle far to the south that they’re equally good at. Local pride is great, but let’s not be dogmatic about it. Travel is one of the great things about birding, and birding is one of the great things about travel. The closer you get to the equator, the loopier the birds become. If I needed to justify leaving home to visit Africa in three words: sunbirds, kingfishers, bee-eaters. Great Blue Turacos are as big as turkeys and remarkably common despite their outlandish colors and crests. Photo from Entebbe Botanical Garden, Uganda, by Brian Zweibel/Sabrewing Nature Tours. Northern Carmine Bee-eater in Murchison Falls National Park, Uganda. Photo by Brian Zweibel/Sabrewing Nature Tours. Red-chested Sunbird at Queen Elizabeth National Park. Photo by Brian Zweibel/Sabrewing Nature Tours. Africa seems to have more than its share of kingfishers—many of them with no special connection to rivers or lakes. Striped Kingfisher by Nate Swick/Macaulay Library. Little Bee-eater in Lake Mburo National Park, Uganda. Photo by Nate Swick/Macaulay Library. Malachite Kingfisher at Mabamba Swamp, Uganda. Photo by Nate Swick/Macaulay Library. Bronze Sunbird at Chimpanzee Safari Lodge near Kibale National Park, Uganda. Photo by Hugh Powell/Macaulay Library. African Pygmy Kingfisher near Murchison Falls, Uganda, by Hugh Powell/Macaulay Library. Gray-headed Kingfisher in Queen Elizabeth National Park, Uganda. Photo by Hugh Powell/Macaulay Library. Red-throated Bee-eater along the Nile in Murchison Falls National Park. Photo by Hugh Powell/Macaulay Library. Many species of hornbills occur in Africa. Despite the enormous bill, these birds are not closely related to toucans. Photo by Nate Swick/Macaulay Library. Uganda is possibly the best place in the world to see the marvelous, ever so slightly fictional-looking Shoebill. Photo by Hugh Powell/Macaulay Library.